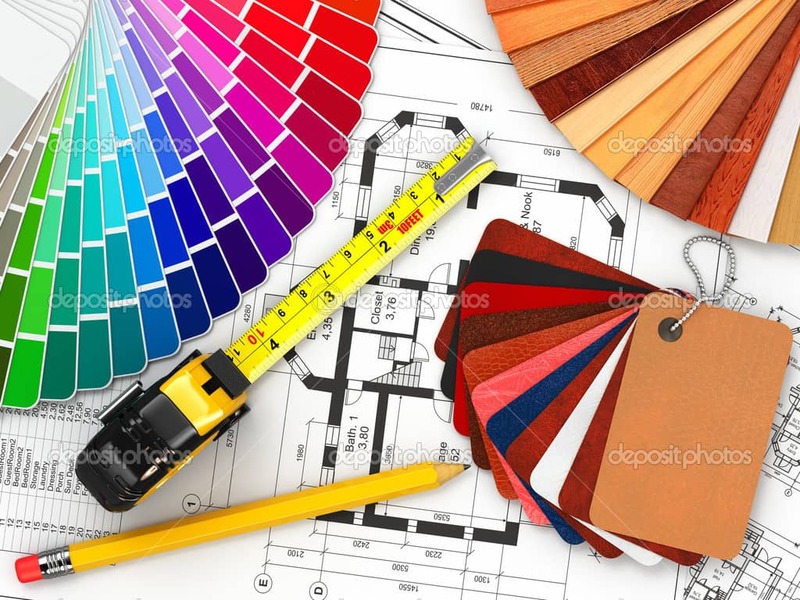 Working in the renovation field of since 1983, Mr. Jacques Larocque, then craftsman, has realized many projects of bathrooms, kitchens and interior designs for his own customers as well as subcontracting for recognized renovation companies, architectural and design offices. 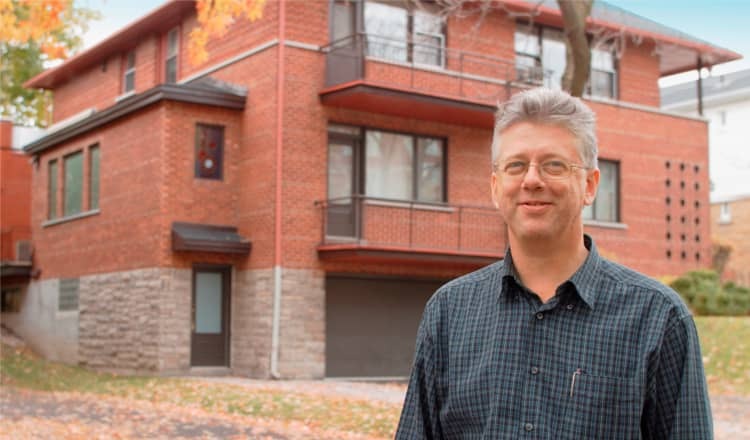 In June 1990, Mr. Larocque created Les Constructions Max Larocque Inc. This company has since operated under the license 2757 5109-82 of the Régie du Bâtiment du Québec. Max Larocque Construction is a mid-to-high-end residential renovation company specializing in bathrooms, kitchens, transformations, conversions, expansions, mezzanines or terraces design. To provide a complete service for turnkey projects, we have assembled and trained a multidisciplinary team of professionals in all relevant fields. We have developed, over the years, a partnership approach with the costumer. Our business philosophy is based on efficiency and quality achieved by integrating the customer into the renovation process. In addition to being a member of the A.P.C.H.Q. 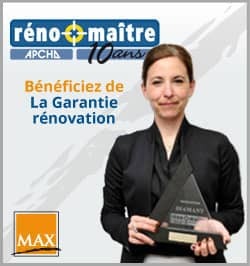 Max Larocque Construction has been, since 1991, a member of the select group of contractors accredited to the Réno-Maître “Renovation Guarantee APCHQ” banner. This work was rewarded in 1997 with the DOMUS award for the $ 30,000 and under Residential Renovations category. Since then, the company has been a finalist for 11 Domus awards in various categories of interior and exterior renovation. Constructions Max Larocque is a company accredited by the Association of Consumers for quality in construction (ACQC) since 1999. Since 2002, our company is also recommended by the Guide Perrier for renovations, kitchens and bathrooms, transformation and expansion. Our professionalism is more and more recognized. In April 2010, we joined the ranks of the CAA accredited companies. This accreditation is important to us because it represents the recognition of years of transparent and honest work with our clients. 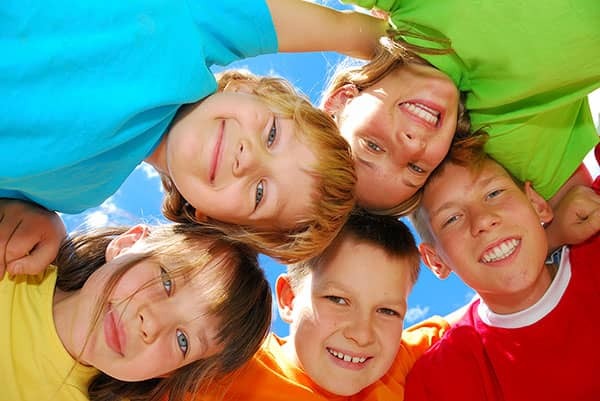 To this end, CAA regularly checks the satisfaction of the customers they refer to us. The Réno-Maître palms are distinctions that attest that a company certified by the Réno-Maître banner has distinguished itself by its professionalism and the excellence of its service under the APCHQ’s Renovation Guarantee. In 2014, we were awarded the Diamond Palm. This is the highest distinction and represents more than twenty years of consecutive excellence. 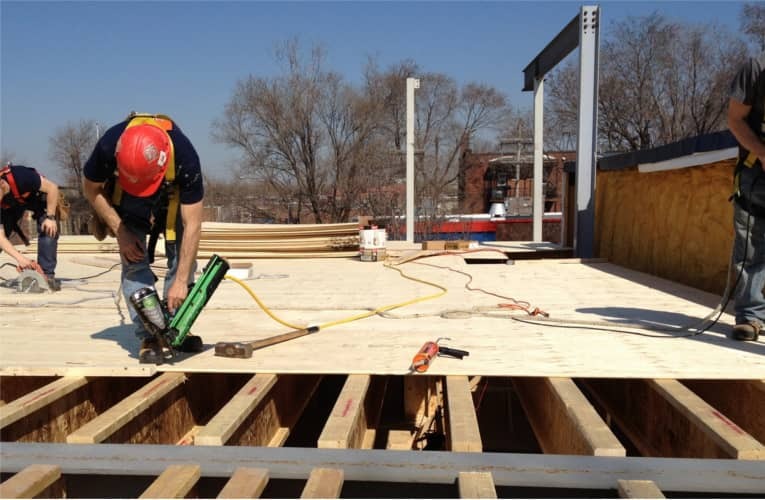 Whether you are at the beginning of your reflection or already equipped with your plans and specifications, Max Larocque Construction’s experts in cost estimation and work management will help you achieve your project quickly and without hassle. After having completed more than 1500 projects. We put our experience at the service of our customers to offer solutions that meet their requirements. With plans according to your expectations and your budget, we take care of obtaining the various authorizations required. While waiting for permit, Max Larocque Construction’s design professionals welcome you to our showroom to choose your finishing materials. Once the municipality issues the permit, we are able to start the project quickly. During production, changes to initial plans may be required. Thanks to our in-house planning service, we are able to make adjustments quickly so that production workers have up-to-date plans at all times. At the end of the work, our maintenance team takes care of the complete cleaning of the premises to make disappear the any traces of the works. We worked more than 10 years with the APCHQ committee to establish and broaden the Renovation Guarantee. This guarantee is now the largest program of its kind in America and has had the effect to increase the liability of renovation contractors. Reusing and recycling materials generated by renovation works is a good alternatives to traditional landfills. On the other hand, on-site restoration of materials is preferable. 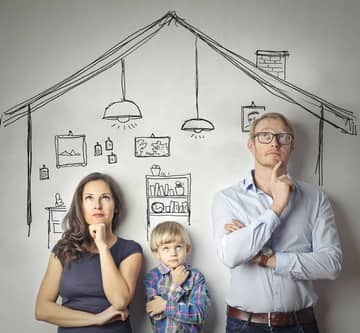 This is not always possible, but when you know the different options, you can substantially reduce the volume of waste generated by renovations. We worked for 5 years on the APCHQ metropolitan sustainable development committee to promote a concrete approach to recycle construction wastes on residential projects. Construction wastes represent a significant percentage of landfills’ amassment. Sorting at the source and recovering materials, such as wood, make it possible to transform many wastes into resources for other functions. Following requests from our clientele to be able to make all their choice of materials in one place, we opened a showroom at 9085 Hochelaga in Montreal. Here, we have gathered all the materials required to make it easier and faster for our customers to make their choices, accompanied by professionals on site. This allows us to support our clients regardless of the type of project: kitchen, bathroom, but also expansion, conversion, transformation, mezzanine, etc. To meet the needs and budget of its customers, our company has developed a quality control process from planning to completion while ensuring a good after-sales service. 1- Our design-build service controls the costs from the beginning according to your budget ensuring a smooth realization of your project. 2- The realization of the works is ensured by our qualified employees in order to keep control over the quality and the delays. 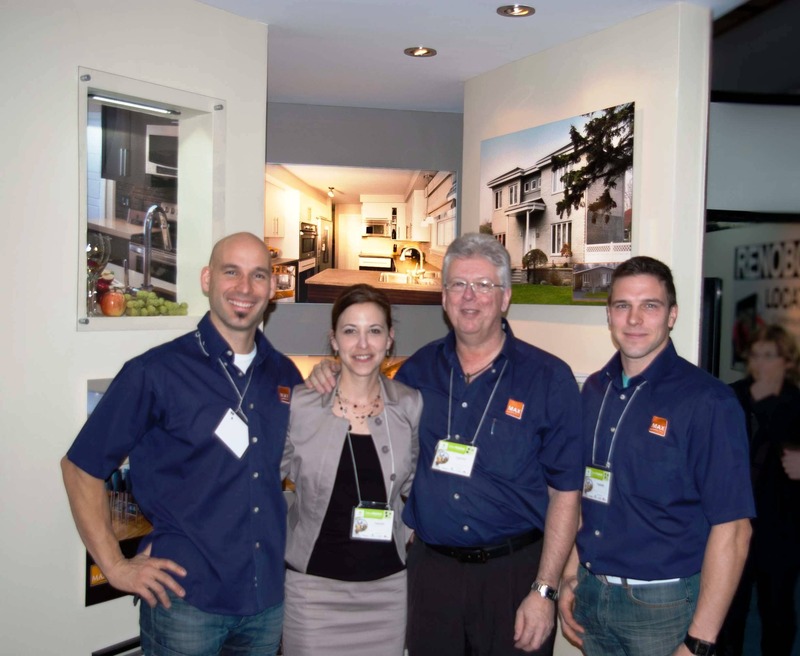 The Max Larocque Constructions team is composed of employees who are concerned about the quality of their work. We are proud of the work we have accomplished over the last 25 years and we are doing everything we can to keep it up.